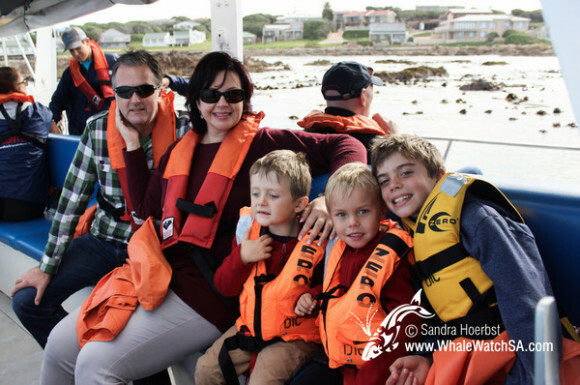 We had two amazing days out at sea. 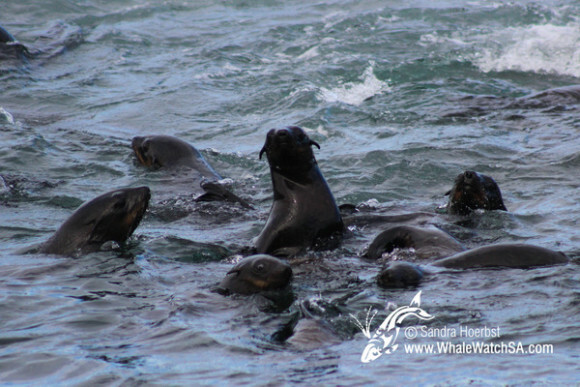 On both days we were heading towards Danger Point after leaving the harbour, as there was a current comin into the bay. 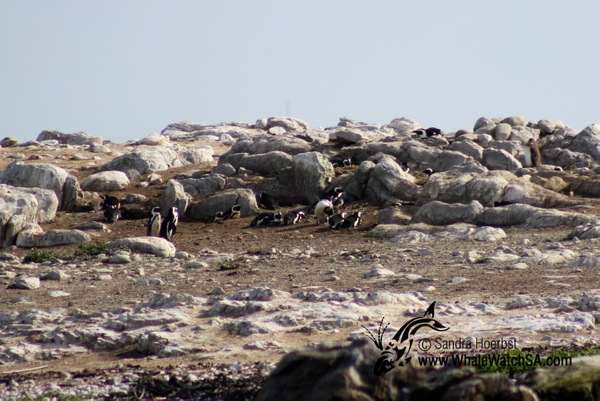 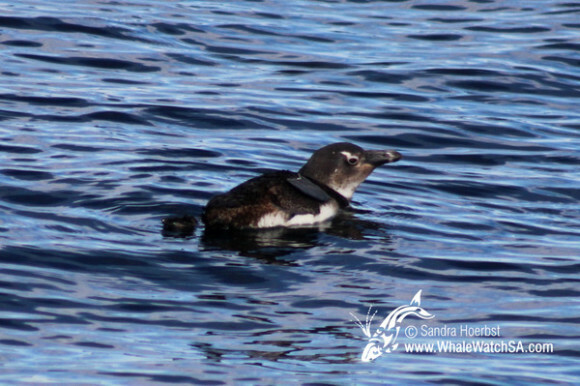 This current must have brought some nutrients and fish as along it we spotted some African penguins. 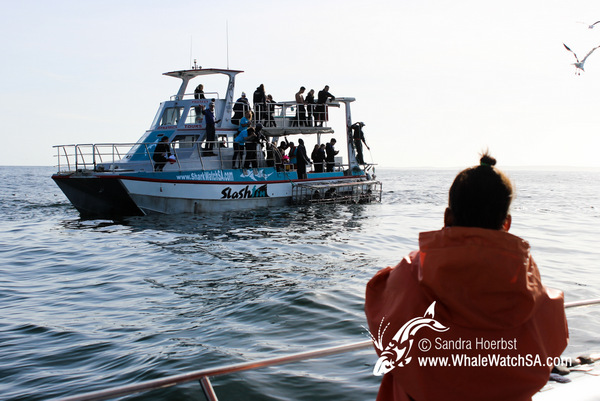 We were also lucky to spot some Bryde’s whales close by, on the 21st we saw one whale approaching our vessel. On the 22nd the Bryde’s whales were a bit shyer but we spotted two of them. 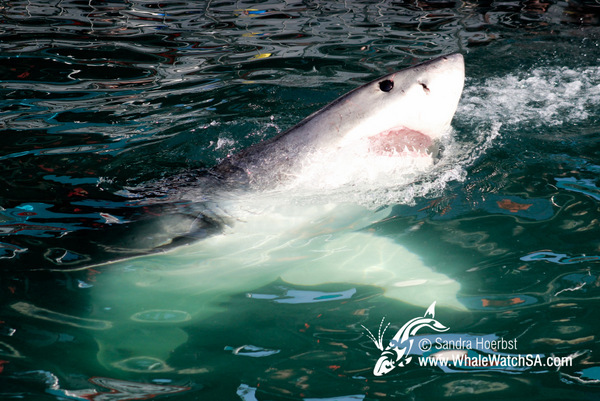 We also got to see the Great White sharks around our sister company, Marine Dynamics. 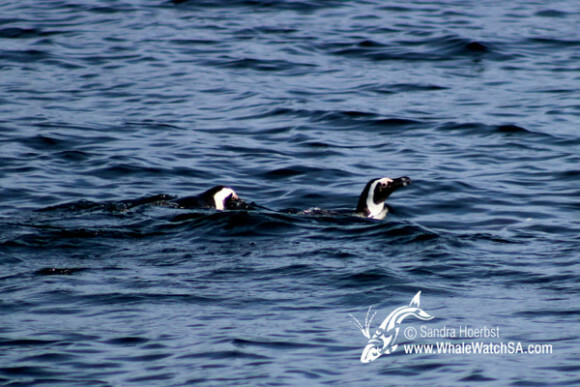 They were anchored in the Geldstee, which is close to Dyer Island. 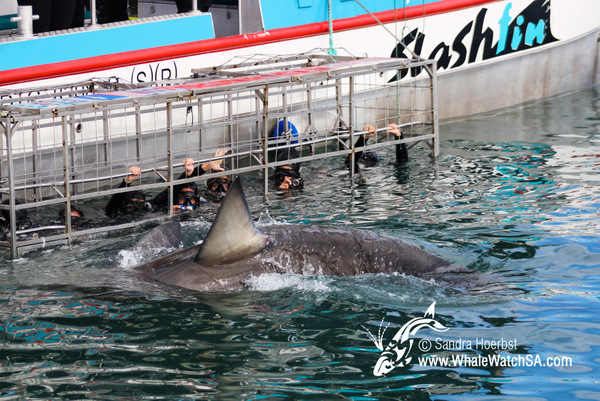 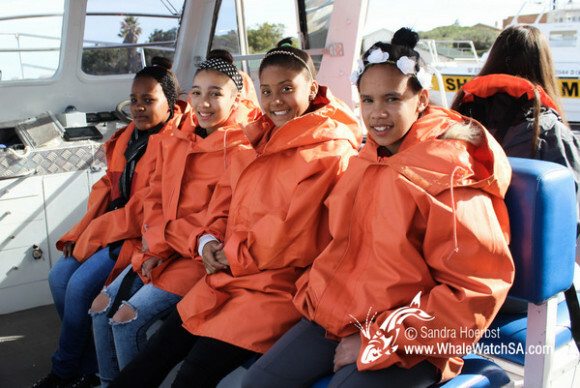 After seeing these beautiful creatures passing by the vessel and displaying great activity while we stopped, we were heading into the world famous Shark Alley. 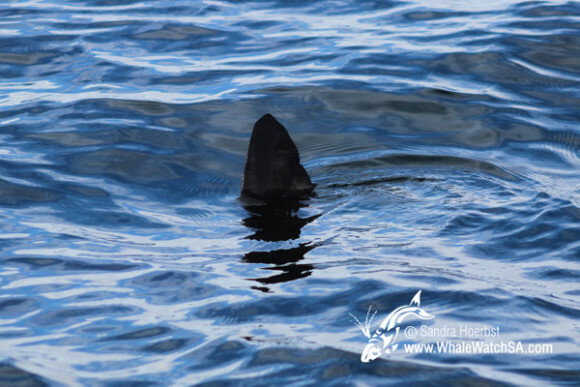 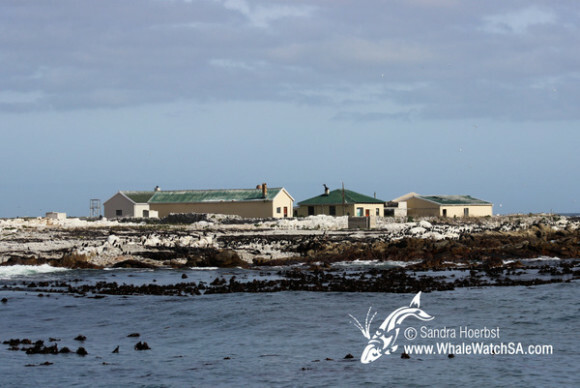 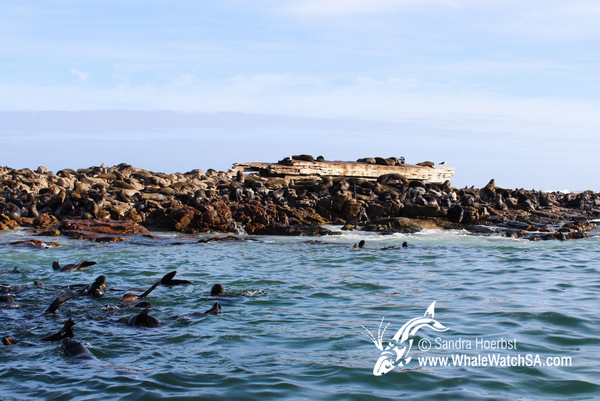 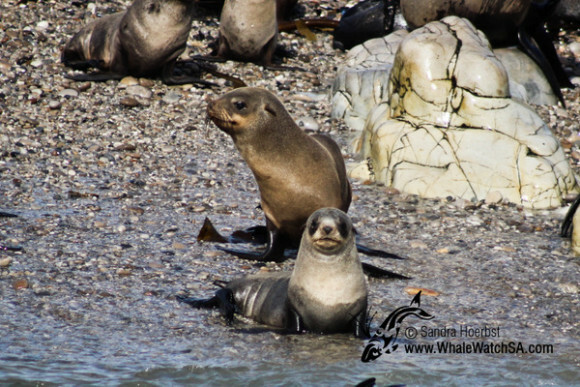 While slowly cruising through the Alley we had a look at the white sharks favourite meal, the Cape Fur seals.